Should Shoya Nakajima have been selected for Japan’s World Cup squad? Shoya Nakajima is one of Japan’s most exciting young players, born in Tokyo he went on to play for the local youth side Tokyo Verdy before eventually breaking into their first team in the 2012-13 season playing 29 times and scoring 6 goals. Obviously his talent hadn’t gone unnoticed by the bigger Tokyo side, FC Tokyo and they snapped him up in 2014. 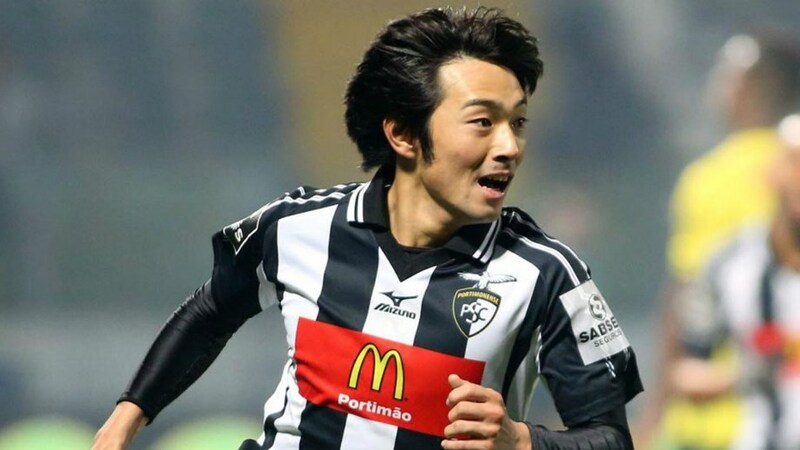 He has so far made 51 appearances for Tokyo’s biggest side, but spent last season playing in Portugal’s Premier League with Portimonense, playing 28 times and scoring 10 goals. Nakajima plays as an attacking midfielder who is often deployed on a wing, there may be some doubts about his size, as he is only 5 ft 4 1⁄2 in tall. More often than not though a low centre of gravity can help these type of players, especially when they’re running at players and dribbling and Nakajima has shown during his time during his loan spell in Portugal he has what it takes to compete against physically bigger and stronger opponents. Nakajima’s style of play is all about running, dribbling, creating assists and cracking off shots. He definitely would have been an asset to the World Cup squad. Should Shoya Nakajima have been selected for the World Cup? If you read what people in Japan have wrote, or listen to any podcasts regarding Japanese football then a lot of people seem to have wanted Nakajima to be selected, he has had a great loan spell for Portuguese premier league side Portimonense scoring 10 goals in 28 appearances. He is definitely a Japanese player who isn’t afraid to take on his marker, run past players and belt a shot at goal. Japan are likely to find creating chances and goals hard to come by if their friendlies are anything to go by since they changed manager. They struggled in the games they played until the final friendly against Paraguay. Leaving a player at home like Nakajima who can unlock a door, or try something different might turn out to be a mistake. Halilhodzic got the chop for apparently not naming Japan’s star players in the squad and by hinting that he may not even take the likes of Kagawa, Honda and Okazaki to the World Cup obviously caused major panic within the halls of the JFA, whether that was pressure from sponsors or players we can only assume. Keisuke Honda however give an interview to the media in Japan where he basically stated that he didn’t mind that Halilhodzic had been sacked because he couldn’t bear missing another World Cup and that scenario had been looking increasingly likely if Halilhodzic stayed on for the World Cup. So is Japan’s squad picked based on player power, was there a disagreement between Halilhodzic or was there pressure from the sponsors, all we can do is presume and guess from reading what is printed or said in the media. My personal opinion is that it is partly pressure from senior players worried about not getting selected for the World Cup as well as pressure from sponsors to make sure that the senior more famous players are selected ensuring the sponsors can milk the cow. Japan is one of the oldest World Cup Squads, can the codgers repay Nishino and the JFA’s faith in them? Japan have picked a squad of players who are coming into the twilight of their careers, Japan’s captain Makoto Hasebe is 34, the big superstar Honda has just turned 32, Nagatomo is 31, the number one keeper Kawashima is 35 and Okazaki is 32. They are not the only players in the squad either 30 or over, or pushing close to 30. Japan have only named five players in their squad 25 or under, Halilhodzic had made it clear he wanted to give younger players like Shoya Nakajima a chance. That idea all crumbled once Halilhodzic got the boot and he was replaced by Nishino, all the old codgers are in with none of the young exciting players given an opportunity to shine on the World Stage despite some of them taking part in the qualifying process, Ideguchi scored the goal to make sure Japan qualified but didn’t make the final squad. For Japan to have a successful tournament their main creative players have to show they’re not past their past which they are widely regarded as being. Honda and Kagawa’s best days are said to behind them, they will need to produce the performances of the past for Japan to get to the last 16 which would be considered a success, however it is likely that only one of these two might be picked to start games in the finals with our money on Honda getting the nod. We are looking forward to Japan’s opening game against Colombia, and we reckon the JFA, Nishino and Honda will need to shine to ensure they don’t return to Japan needing to answer questions why exciting young players like Nakajima were not selected.